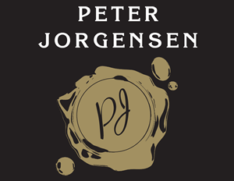 The Peter Jorgensen Grand Barossa Black Shiraz has a deserved reputation for delivering intense powerful flavours with honest Barossan heritage. This is another example of premium low yielding vineyards and meticulous winemaking skill producing a rich, full-bodied wine with style and finesse. The colour is a rich deep red with a dark cherry rim and hues of maroon and garnet. The bouquet oozes with rich dark chocolate, cocoa and luscious liqueur cherries. The alcohol accentuates the ripe jammy fruit which is balanced by a background of smoky oak and savoury spice. The palate shows cooler climate Shiraz characters with supple red fruit flavours and fine tannins. It has solid weight and firm grip with remarkable finesse and great length. The oak is restrained, allowing hints of black pepper and eucalypt to linger on the back palate. This is a sophisticated and versatile style of Shiraz. The palate weight is solid and full with a silky texture making it a great match with traditional dishes like roast lamb with mint sauce or fillet mignon wrapped in smoky bacon or beef Wellington in flaky pastry with a rich mushroom jus. It is a wine full of traditional Barossa character with the added complexity of cool climate fruit and subtle spiciness. Over the next 3 or 4 years this Shiraz will mellow and blossom into a truely elegant and sophisticated statement of Barossa character. It will continue to mature and develop for at least a decade providing captivating drinking for those with the right cellaring condition; consistent cool temperatures away from direct light. The “Premium” label is allocated to only the most outstanding wines. Peter hand selects truly premium, benchmark wines with rich intensity, complex flavours and structure combined with long term aging ability. All Premium wines are an expression of excellent vineyard management and winemaking. The resulting wines are extremely limited and are treated with minimal filtration and additives which result in great length and balance. They are wines that take time to evolve and are given extended cellar maturation to allow all elements to become integrated before bottling. The aging process will continue in bottle and each wine will develop a light crust over time. Please allow this wine to breathe for at least 60 minutes prior to consuming.